Once Upon a House – New Roof! Sorry I have been absent for so long. Tis’ the time of year for illness, holiday panic and, if you live in western Oregon, rain. 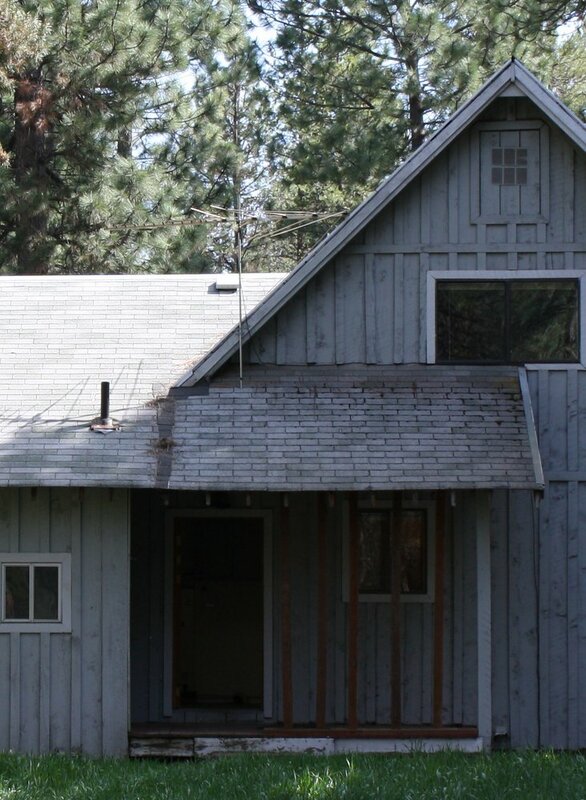 As for the house in La Pine, this story could go one of two ways. I could bore you, or anger you, or make you feel empathy by ranting on and on about the process of buying a house in a short sale….but I think it would be best to leave that to an entirely different thread. Trust me, it was a NIGHTMARE. The end result was that we got the house and I was put on blood pressure medication, but there were no homicides on my behalf, which is always a good thing. In order to get the house, we had 2 weeks from closing to put a new roof on it or we would lose our financing. We found an excellent roofer (after finding a complete charlatan who caused more harm than good – but again, that is part of the OTHER story) and he agreed to have the roof installed by the deadline for the tidy sum of $12,000. Seems having a pitched roof and needing a high quality roofer comes with a steep price tag. But, they had us over a barrel. By the time we got to this part of the transaction, I was so riled up, there was NO WAY we were not going to get this house. Of course, when we drove out to La Pine on the day of the deadline, the house still sat, old roof intact….but again, that is the OTHER story. Wow, I have PTSD just thinking about the 7 months I spent fighting over this house…..breathe. Ok, so where was I….Oh, yes, WE GOT THE HOUSE!!!! The new roof was finally put on, the financing stayed intact, for the most part, and we were ready to start dreaming and scheming about how we were going to turn this slapped together vacation home into something we were proud to call our permanent residence. Old roof from the back of the house. Old roof from the front of the house. As stated earlier, come move in day, we still did not have a new roof, but we remained hopeful and made some panicked phone calls. It turned out the sky light the roofer had ordered, was subsequently shattered and they needed an additional week to get a new one (you can see it in the above photo). The finance people we already calling ME asking why I had not taken care of the roof, but in the end, through shoddy cell phone service and hard to reach people on a Saturday, it seemed that everything would still work out. I had never owned a house before….actually, I never even IMAGINED owning a house before, so this whole experience to me was surreal. Here I am, standing for the first time on MY porch…mine, all mine. 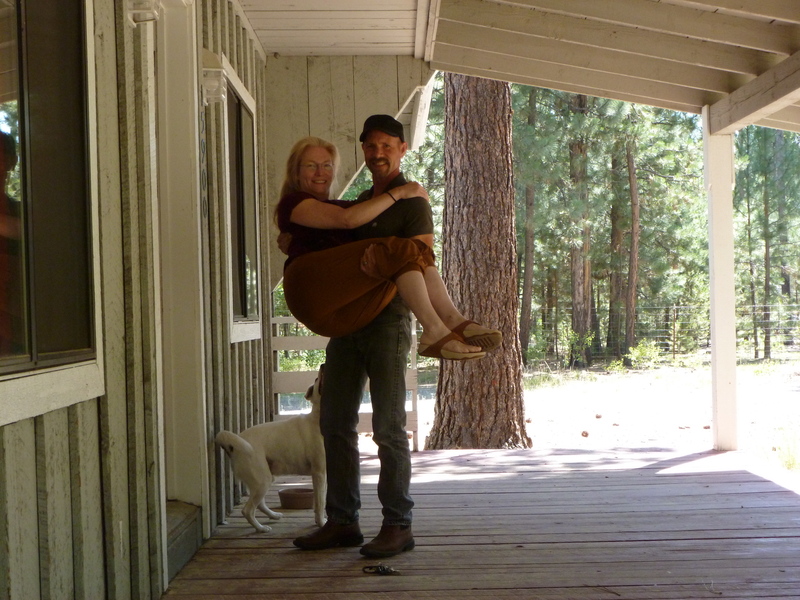 Then a friendly squirrel offered to snap a picture of hubby carrying me over the threshold. He likes to note that there was not an ounce of strain showing in his body as he lugged me into what has, thus far, become my dream home. Author Gillian C Bruce -Tangible ImaginingsPosted on November 19, 2013 Format AsideCategories HouseTags Bend Oregon, Central Oregon, composite roof, Construction and Maintenance, Deschutes County Oregon, fixer upper, La Pine, LaPine, new home, new house, pitched roof, property, Real Estate, roof, slate like roof, TLC2 Comments on Once Upon a House – New Roof! Sorry for the delay in posting anything new. My daughter was in the hospital with a serious kidney infection. I thought, given the circumstances, that I would veer off in a new direction and dabble a bit into parenting. My daughter is 18 years old and has been suffering with an unknown disorder for several years now. Actually, it seems she might have had it her whole life and it took puberty to make it’s ugly presence known. She has accute bladder pain that happens sporatically and leaves her incopacitated for days on end. We have yet to find a cause, but it is clearly worse when she is under stress or having horemonal spikes. We thought it might be interstisal cystitis, but she is laking too many symptoms. A few years ago, after the urologist had ruled out any kind of abnormalies, he put her on Toviaz (an overactive bladder medication) and that seemed to at least lessen the frequency. Lately, however, things have taken a myserious turn for the worse. Over the past few months, we hae ben to urgent care several times to address what we thuh were bladder infections. The doctor would do a quick urine test for white blood cells and then write her a prescription for antibiotics. 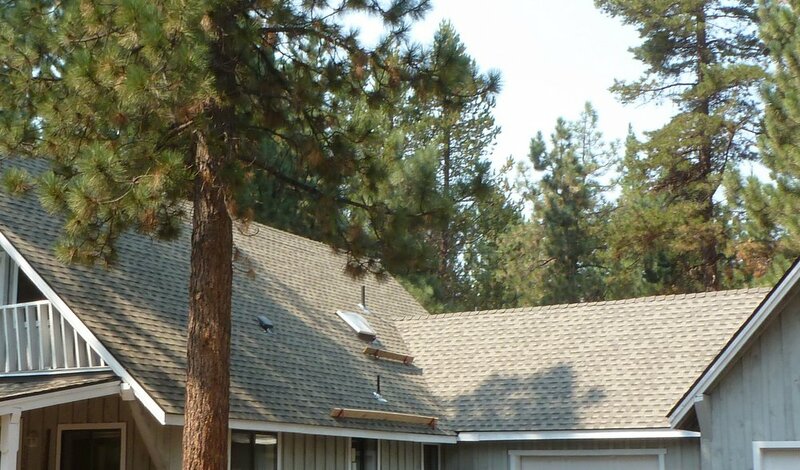 Author Gillian C Bruce -Tangible ImaginingsPosted on November 19, 2013 April 29, 2014 Format AsideCategories HouseTags Bend Oregon, Central Oregon, composite roof, Construction and Maintenance, Deschutes County Oregon, fixer upper, La Pine, LaPine, new home, new house, pitched roof, property, Real Estate, roof, slate like roof, TLCLeave a comment on The House is Ours!!! 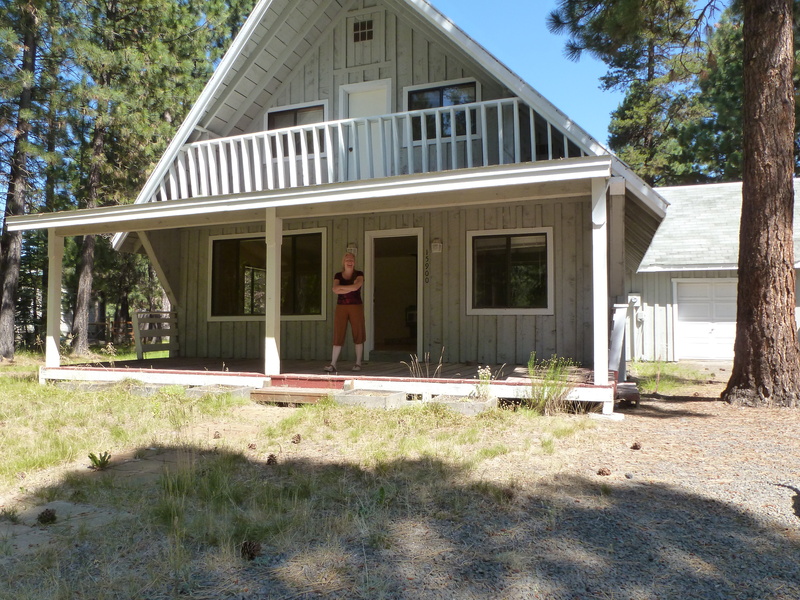 All of the houses we planned to visit in La pine were on at least 1 acre of land. We wanted some room to spread out, live more privately and, most importantly, NOT feel like we were still in suburbia. The first house we visited was a 3 bedroom, 2 bath ranch that looked remarkably like many of the other homes we had passed by in the neighborhood. It was red on the outside and varying shades of plum and tan on the inside. It had a weird floor plan, with lots of unusable space in a entryway and then no real room for a full living room. The kitchen had vaulted ceilings, the bedroom had almost no closet and the whole floor plan flowed like a river that had been diverted too many times. Even though it was still occupied, and nicely decorated, we said, “no tahnk you” very quickly and were back on our way. I guess, looking back, there was really nothing wrong with the house at all. It was perfect….we did not want perfect though, we did not want to keep up with the Jones’ or have someone else make the decorating decisions for us. We wanted our cabin, unique, rustic, a diamond in the rough. The third house was another interesting one. It had originally been built when the neighborhood had planned for a cul de sac to follow. But the economy in Central Oregon crashed in the late 90’s and the cul de sac never came to fruition. as a result, this house now sat on a flag lot behind a number of other homes and after making our way down the awkward driveway, we found ourselves facing the back of the house. No driveway or road had been installed to circle around to the front, so instead, the main entry to the house was through the laundry room! We nicknamed this house “big blue” because the previous owners had painted it an alarming shade of electric blue. Once inside, we had a really nice surprise. This house was HUGE! it had 4 bedrooms, 3.5 baths, a den and a full family room as well as an ample living and dining area. It had new carpet throughout. When you walked to the front of the house, there was a big porch, reminiscent of the Walton’s and a view of a large grassy field, where the street and other houses were originally meant to be. Also unoccupied, we toured this house a bit more slowly. There were cabinets everywhere…my brain started to crunch ideas….there were TWO master bedroom suites….crunch crunch….there were patched holes in the walls everywhere…..and the ceiling….and there were STILL holes in two doors…loud crunch. I asked Nancy what had happened, and she did not know but told me the previous owner had agreed to repair everything before the sale was final…..no, I thought..crunch… This house was TOO big and TOO fake and perhaps TOO filled with someone else’s latent anger. Everything was carpeted, and I was sure that if we pulled the carpeting up, we would find chip board and maybe serious water damage. Plus, let’s get serious here, who wants to keep their laundry room “guest ready” all the times! After that, I know we visited at least one other manufactured home, I remember the kitchen but in truth , it was all a blur once we stumbled upon the house of our dreams. We were just about to give the search up when my husband said, “what about the house with the dogs?” Nancy seemed to know what he meant and quickly checked the listings. Yes, she had it and we could go there next. 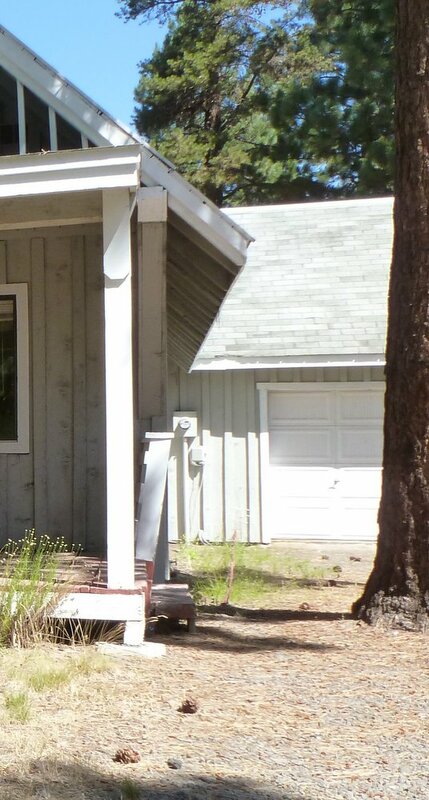 All I had seen about this house was a grainy photo from the outside and a picture of two dogs behind a gate. The one thing that made it worth visiting, my husband reminded me, was that the map showed the property butting right up against La Pine State Park. If this house were worth it, we could have a 6000 acre back yard and that, in an of itself, made visiting worthwhile. As we drove to the property. Nancy reminded us that this house was short sale. I let my husband absorb that statement, having no idea myself what it meant and watched intently out the window as we pulled up through a slushy yard and parked right outside the front door of a small gray house with two garages.